To celebrate the Abbey’s future as the county’s most exciting new visitor attraction, visitors to the opening weekend will enjoy a fun-packed programme of themed activities and events. The Abbey’s restoration has been delivered thanks to a National Lottery grant of £3.65 million from the Heritage Lottery Fund (HLF), with the remainder made up by Northampton Borough Council and a range of other charitable trusts and foundations, as well as the incredible generosity of private individuals and donors. Over 100 volunteers and supporters have worked alongside staff, conservators and craftspeople over the last three years to bring the Abbey back to life and ensure that it continues to be a vibrant community hub, offering learning facilities and a sustainable wedding and functions venue – all set within beautiful gardens and public parkland. Launch celebrations kick-off at 10am on Saturday 17th of March and feature spectacular jousting, battle displays and re-enactments as well as tales from the more recent past with talks on the building’s restoration. Visitors can soak up the atmosphere across the site and meet a range of characters from the Abbey’s past. Once open, history enthusiasts and families looking for a great day out can visit six days a week over the summer months, reducing to four days over the winter period. 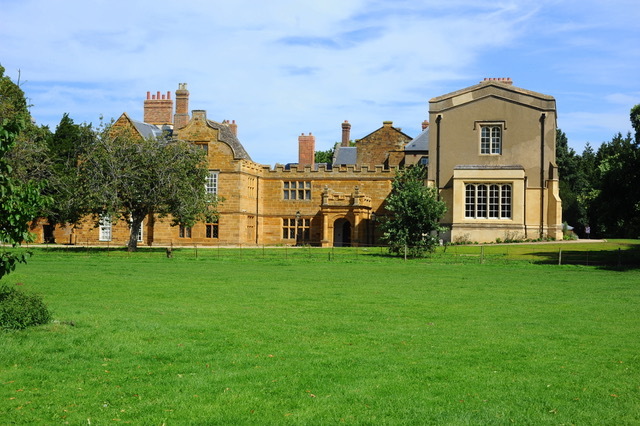 Delapré Abbey will also be running a changing annual programme of events, workshops and activities, including regular weekend craft and food and drink markets which celebrate the best of what Northamptonshire has to offer. Thanks to money raised by National Lottery players, detailed conservation work on the grade II* listed Abbey included a complete redecoration of the main fine rooms on the South front of the building. With the work now complete, the beautifully presented rooms are once again fitted out ready for visitors. Delapré Abbey is located in 600 acres of parkland in the centre of Northampton with easy access for visitors travelling by road or train. A visit will cost £7 for adults, but children up to and including the age of 18 are entitled to free entry making it a good value day out for all. For more information about Delapré Abbey, visit www.delapreabbey.org; you can also follow them on Twitter @DelapreAbbey.